Do ethnic/racial identities shape policy preferences? A big question that has animated most of scholarly research agenda concerns the effects of particular configurations of racial and ethnic identities on policy-making. For example, my first scholarly book focused on the effects of the different ways in which the “race question” was addressed in Brazil and South Africa on the development of the tax systems in those countries. And my second book showed that when ethnic identities were strongly institutionalized — such as in countries like India and South Africa, political leaders were much less likely to respond aggressively to a sensitive health issue like HIV/AIDS. More recently, along with some collaborators, I have been exploring some related ideas with more micro-level data. For example, Gwyneth McClendon (Harvard) and I analyzed Afrobarometer data across 16 countries and found significant differences in the policy preferences of individuals across ethnic groups, challenging a fair bit of research on the subject. Even when it seems to be against their own individual self-interest, co-ethnics seem to share views and priorities. This work appeared in Comparative Political Studies. 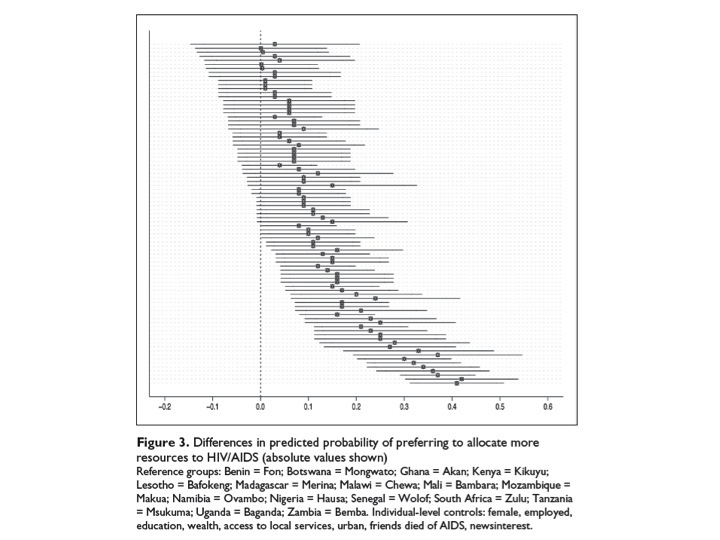 Also, Yarrow Dunham (Yale), Steve Snell (Duke) and I conducted some experiments on the relationship between social identity, risk perception, and policy priorities around disease risks in the United States, and that work appears in PLoS One. All of these projects draw heavily on social psychological models, especially social identity theory, and I continue to do work investigating intergroup conflict and preference formation.